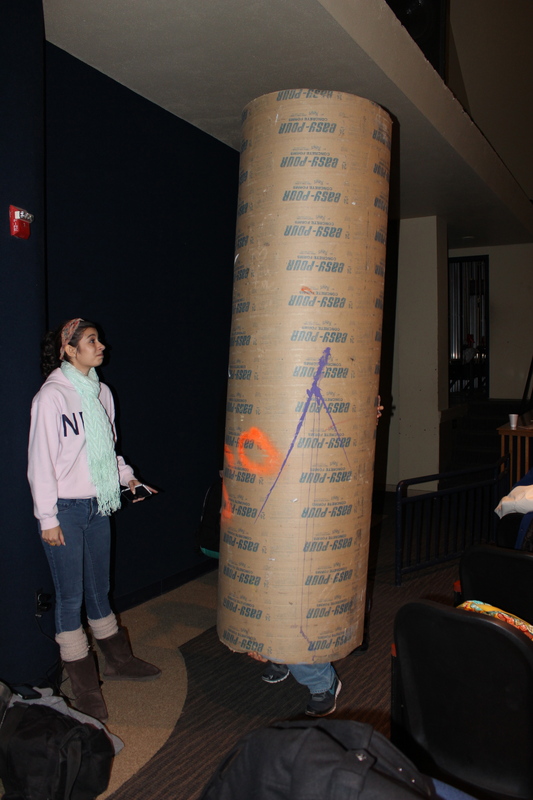 Tech Sam Wittlinger and actress Megan Williams have some issues. Everyone recognizes the actor in the spotlight, but what about the person working the lights on stage? 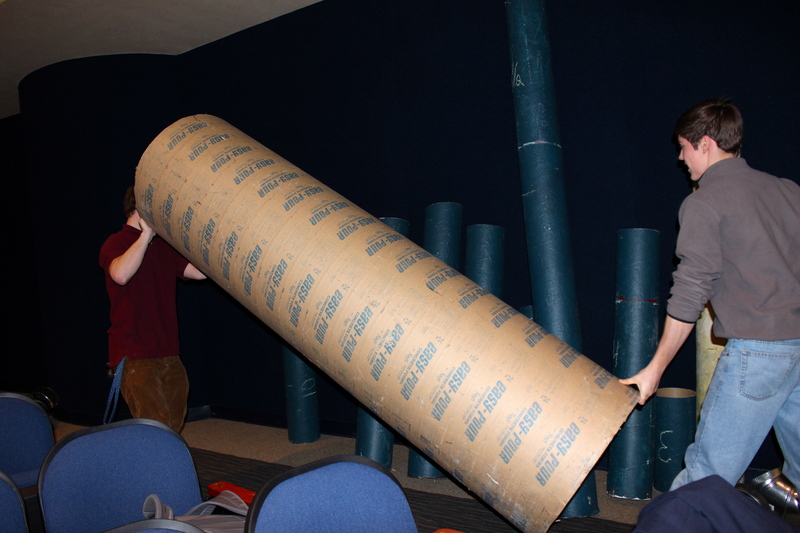 Theatre tech, the hidden side of theatre, is the yin to the yang of the organization. Actor and techie Christian Parrish (11) joined tech at the start of the school year and loves building the sets as well as acting on them. 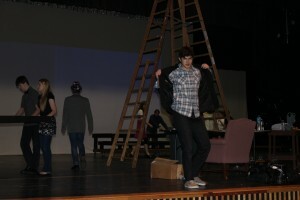 Techie and actor Christian Parrish takes a break and poses on the stage. The two groups need to work together on all productions, but the two see their own perspective rather than the big picture. Though the tension exists, the groups do work well together. 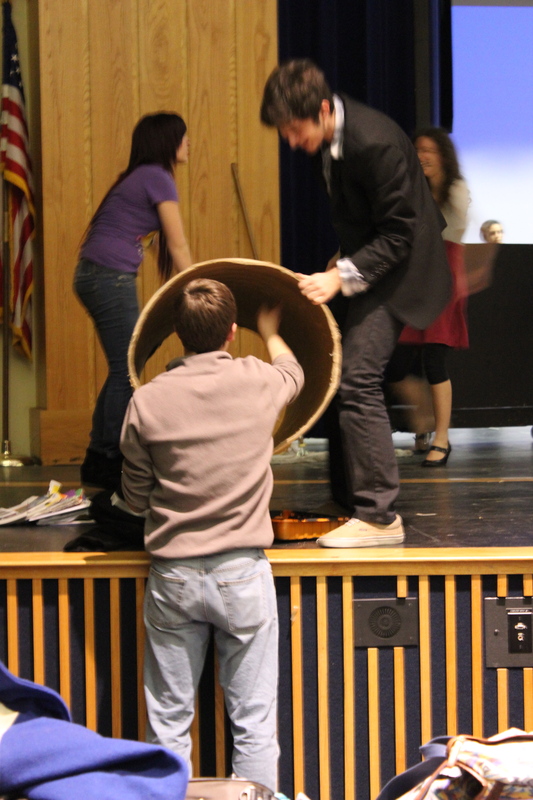 Actors and techies Sam Wittlinger (11) and Christian Parrish (11) work on the set. And the idea of swapping has passed their minds. But this year, everyone feels as if they’re in the right place. Techies can earn scholarships since many schools brush off student actors while they apply for financial aid. The two are like bread and butter so when theatre goes to UIL, the techies follow. 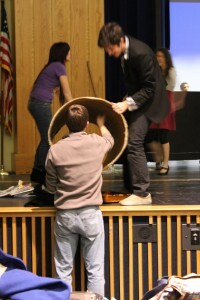 The same way an actor feels after a standing ovation is the same feeling techies get after building a set.